And at Walmart right now, there is, in fact, both gold and dragons! 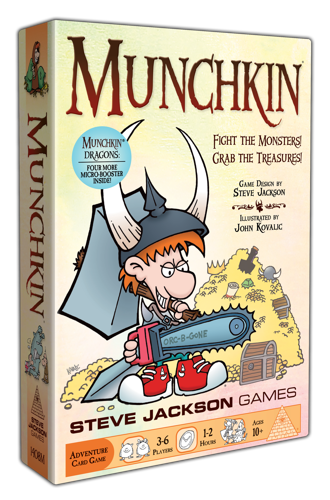 Inside marked copies of the gold-foil, Walmart-exclusive edition of Munchkin (pictured at left), we've stuffed the mini-booster Munchkin Dragons: Four More. You'll know the dragons are inside by a handy sticker on the box that says so. 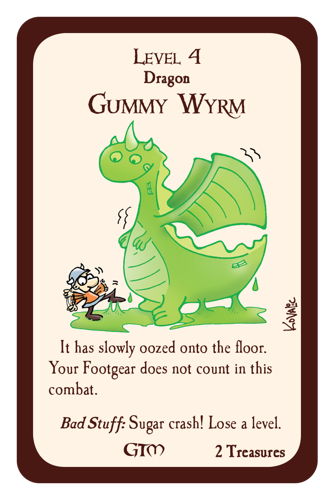 It's a curious quartet of weird wyrms! Rules for mixing them into your game are here, but feel free not to read them and simply embrace the fiery chaos. And if you like this pack, look for Munchkin Dragons and Munchkin Dragon's Trike at your friendly local game store. 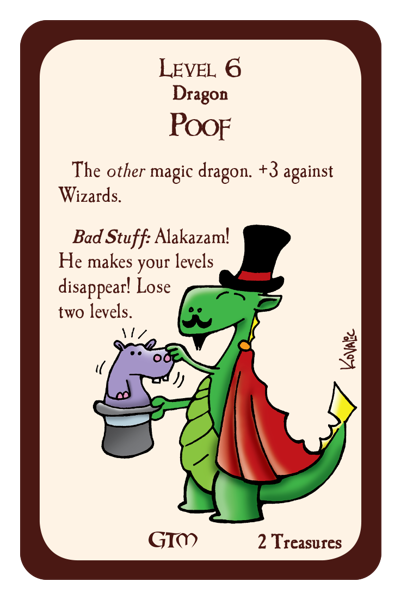 Then you can have a fire-lizard extravaganza!